The acquisition of Magento Commerce will allow Adobe to offer real-time experiences across the entire customer journey. Adobe has announced that it will purchase e-commerce services provider Magento Commerce from the private equity firm Permira in its biggest deal in almost a decade. The company said that it will pay the firm $1.68bn in cash and it also revealed that it will buy back up to $8bn worth of shares leading up to 2021. Adobe's acquisition of Magento Commerce will help bolster its Experience Cloud business which provides analytics, advertising, marketing and other services. The Magento Platform has a community of more than 300,000 developers and its partner ecosystem provides thousands of pre-built extensions including payment, shipping, tax and logistics. "Adobe is the only company with leadership in content creation, marketing, advertising, analytics and now commerce - enabling real-time experiences across the entire customer journey. Embedding commerce into the Adobe Experience Cloud with Magento enables Adobe to make every moment personal and every experience shoppable." Magento's CEO Mark Lavelle will continue to lead the Magento team as part of Adobe's Digital Experience business and will report directly to Rencher. 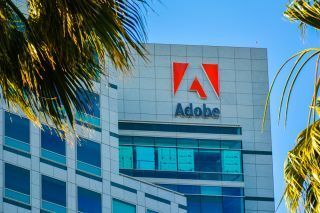 The transaction is expected to close during the third quarter of Adobe's fiscal year after receiving regulatory approval and until then each company will operate independently.